New article posted on the Strathfield Massacre. 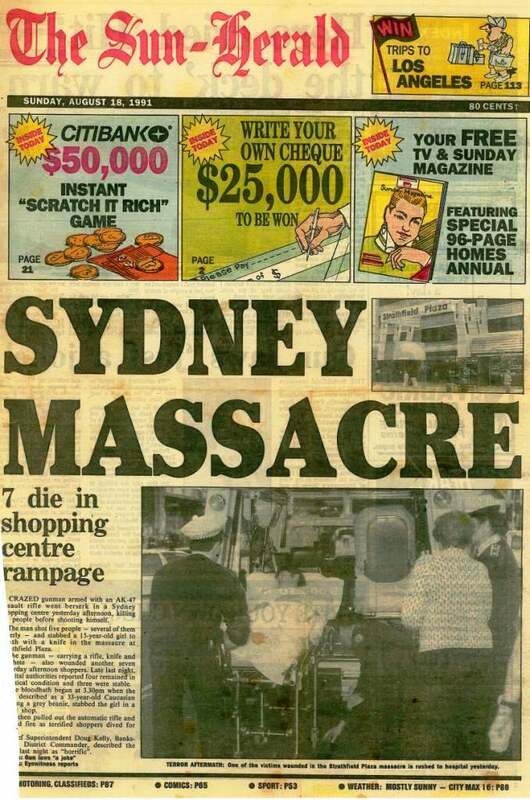 The ‘Strathfield Massacre’ occurred on Saturday August 17 1991 at Strathfield Plaza and is considered one of Australia’s worst and most violent crimes. Within a ten minute period, 33 year old Wade Frankum armed with an AK-47 rifle, knife and machete, killed seven people and seriously injured six other people before turning the gun on himself. Next Post: Thew Reserve – who is Thew? Thank you for reporting the truth as it happened there are many people in Strathfield who would remember the massacre.